Lawmakers who backed discriminatory, anti-LGBT legislation lost big—and champions of equality are taking their place. 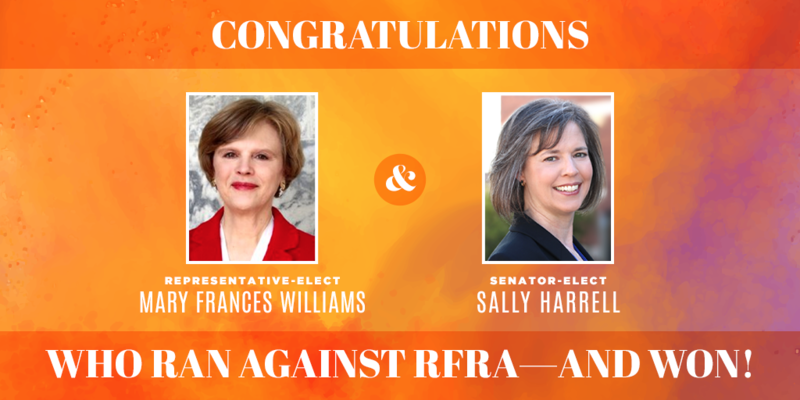 The most exciting results were Mary Francis Williams’ victory over Sam Teasley in House District 37, and Sally Harrell’s victory over Fran Millar in Senate District 40. Both sitting lawmakers had supported anti-LGBT bills, including this year’s bad adoption bill. The winners made opposing discriminatory bills and supporting inclusive ones main platform planks. 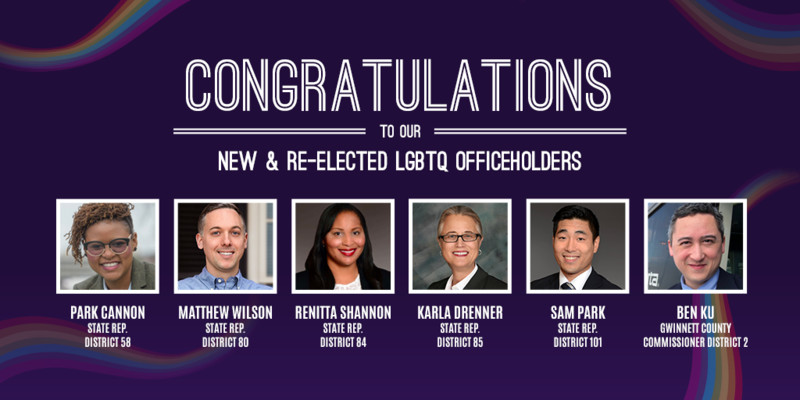 And we added to the ranks of LGBT members: Matthew Wilson (House District 80), who could sit on the Judiciary Committee and directly influence these bills. We can’t wait to see what these newly-elected champions of equality accomplish in 2019. Send them a personal note of support now. Not only will we have new allies in the legislature next year, an entire generation of opponents of LGBT equality were blocked from elected office. 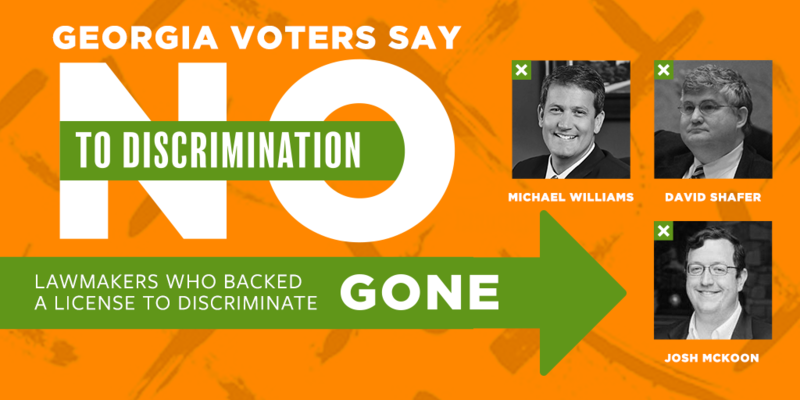 A chief sponsor of 2017’s License to Discriminate, Michael Williams, and the bill’s author, Josh McKoon, won’t return to the senate after losing in a landslide bids for governor (Williams) and secretary of state (McKoon). David Shafer, who co-sponsored this year’s bad adoption bill, also resigned from the senate only to lose a bid for lieutenant governor. It sends a powerful message that three public faces of License to Discriminate legislation won’t be back in 2019.